Back from a vacation that was needed. This morning on my way from the gymnasium I saw a Ruckus rolling down the street, It had the lowering kit on it as well as some modifications to the engine and steering components. I managed to keep up with the fellow until he got to his work, (which was as a deliveryman). Where he drives another scooter around to deliver food. I managed to take a quick snap of the rider before he parked. 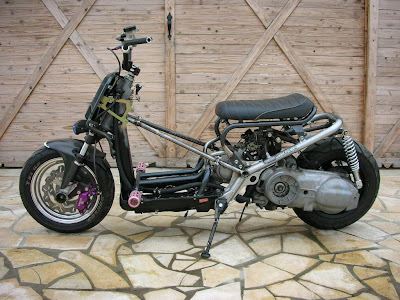 The Honda ruckus is for all intensive purposes the closest thing we can get to the old minibikes of the 60s and 70s. I use to have one back way back when. Even though it was crap it was something fun to have around. During my time shopping for scooters I found the ruckus and the metro to be the some of the highest quality scooters around. I was no more than a day from making the decision to buy the ruckus before I found the Genuine Scooter Company. With the same body dyes at the classic Vspas I could not withstand buying it. I also needed the higher top speed. But back to the Ruckus. 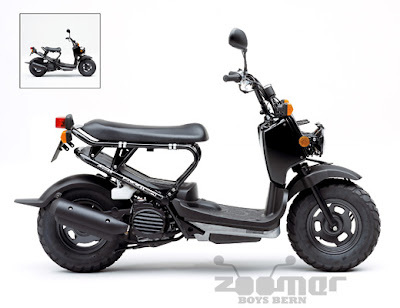 For 2,000 dollars you can get a great fuel efficient bare bones scooter, something you can depend on though thick and thin. And since there introduction to the market, many companies have made aftermarket parts and accessories for them. About 1/2 of the Rucki/Zoomers that I see here are heavily modified. Most of the companies that offer cheap aftermarket parts are in Korea and Japan, so it makes over all cost of the part a lot lower than what you might be able to find in America. There are Modifications that range from the Mundane to the Extreme, and you might spend about 1,000 dollars just modifying your ride to how you want it. 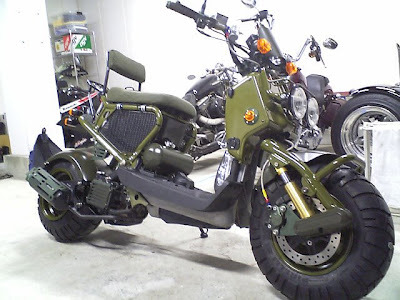 I can say without any real doubt that my next ride will be the Ruckus. That is if I can find a decent paying job in the greater piedmont area. 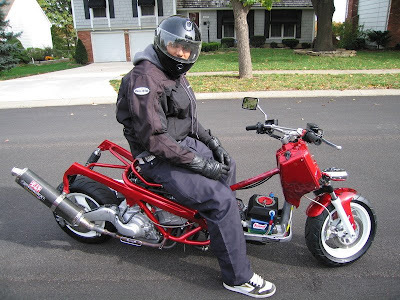 I am placing a few sites that I know have great pictures and parts for the Ruckus and Zoomers. Check them out. And if you have any advice you can give me it would be appreciated. 3. A few more parts from a different sorce. 4. And here is a link to a great blog about ruckus specefics.